I'm a beginner and new to shopping for pool cues. What cue would be a good "first" cue? One of the first things we tell our customers that are new to the game is that they don't need to go and spend hundreds of dollars for their first pool cue. Players new to the game of billiards should be looking for a basic cue with a hit that they're comfortable with. For some this will be a firm hit, for others it will be a fluid hit. It all depends on the player's personal preference. Regardless of the feel of the cue, in most cases, a beginner is going to be looking at pool cues under $100. A perfect example would be the extremely popular Adventure ADV60. This cue sells for under $100, has a nice firm hit, features a nice layered 13mm leather tip and is one of our most popular cues amongst new and casual players. The brands that will be most suited to the beginner include Action, Griffin and Eight Ball Mafia. Another feature to consider is the wrap. Pool cues come with a variety of different wraps and grips including Irish Linen, leather and rubber sport/golf style grips. Several of our cues also feature a wood handle instead of a wrap or sport grip. The key is finding something that works for you. If you're looking for a cue that can take a bit more of a beating and can stand up to harsh conditions, something with a fiberglass shell is an excellent alternative. 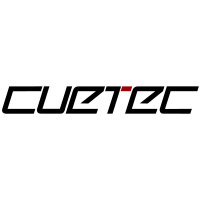 Cuetec and Scorpion Cues both feature fiberglass coatings and will provide additional protection against dents and warping. If you tend to leave your cue in places they shouldn't be left (such as the trunk of your car), you want to get a cue that is warp resistant. The fiberglass coating will help keep your cue straight, although it should be noted that if you continually expose your cue to the elements, it will warp over time. As always, if you need help selecting the right pool cue for you, call us toll free at 866-843-3294 and one of our billiards specialists will be happy to help you out.